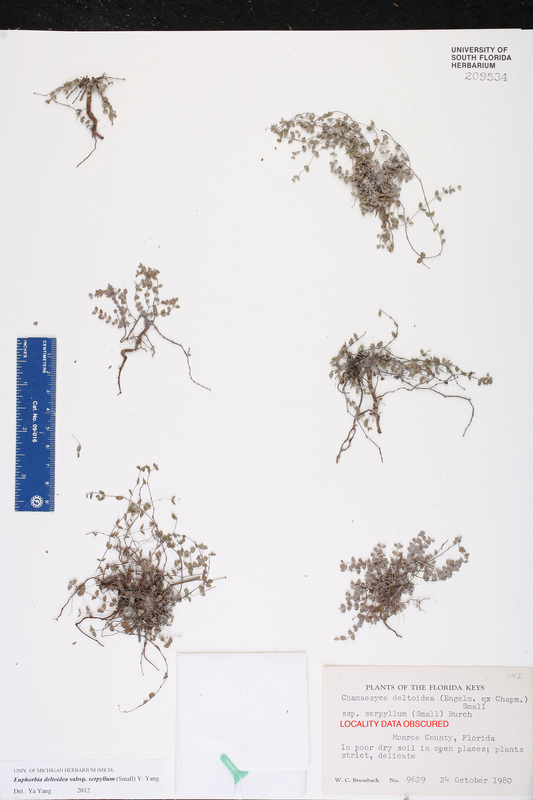 Plant Notes: Formerly included in the genus Chamaesyce, this species is reclassified under Euphorbia subg. Chamaesyce sect. Anisophyllum subsect. Hypericifoliae. 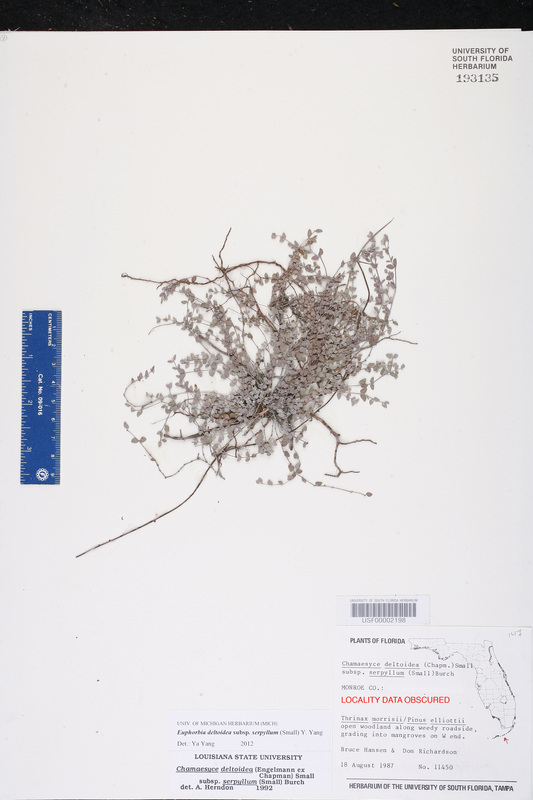 Citation EUPHORBIA DELTOIDEA Engelmann ex Chapman, subsp. 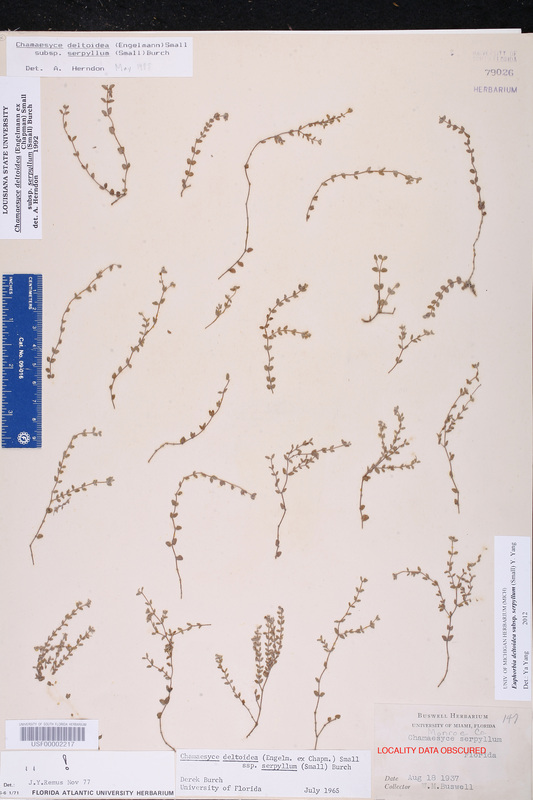 SERPYLLUM (Small) Y. Yang, in Y. Yang et al., Taxon 61: 783. 2012. Basionym: Chamaesyce serpyllum Small 1913. 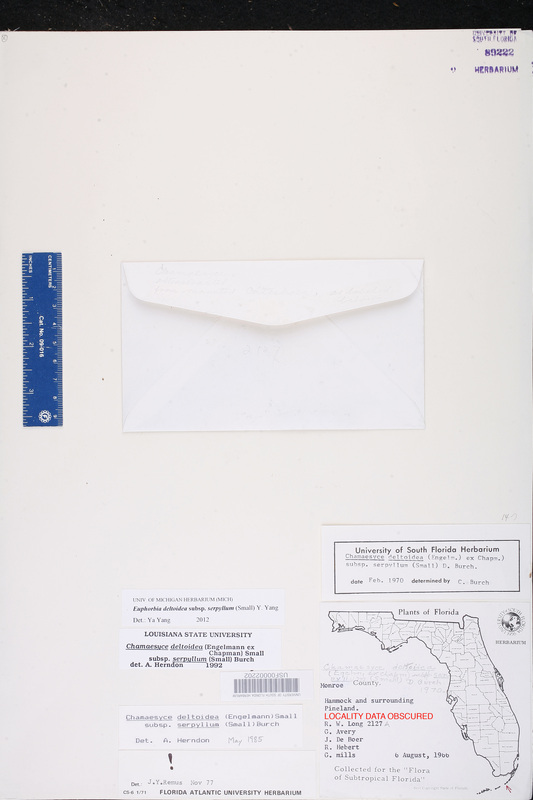 Type: FLORIDA: Monroe Co.: Big Pine Key, 17 Nov 1912, Small 3811 (holotype: NY). 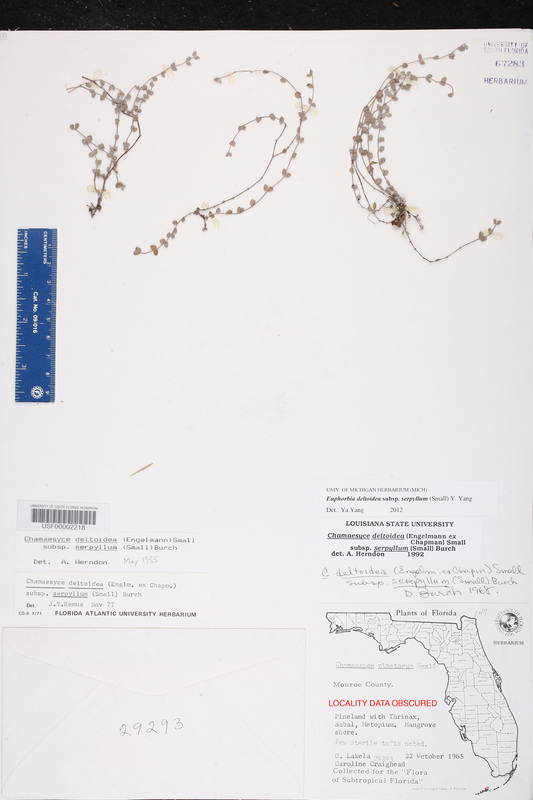 Chamaesyce deltoidea subsp. serpyllum Chamaesyce deltoidea (Engelmann ex Chapman) Small, subsp. serpyllum (Small) D. G. Burch, Ann. Missouri Bot. Gard. 53: 99. 1966. BASIONYM: Chamaesyce serpyllum Small 1913. Chamaesyce serpyllum Chamaesyce serpyllum Small, Fl. 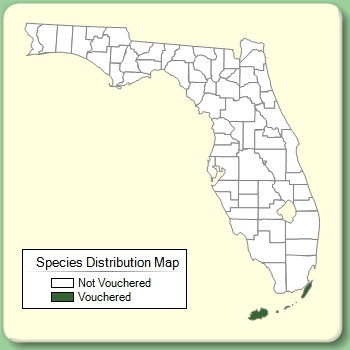 Florida Keys 81, 155. 1913. 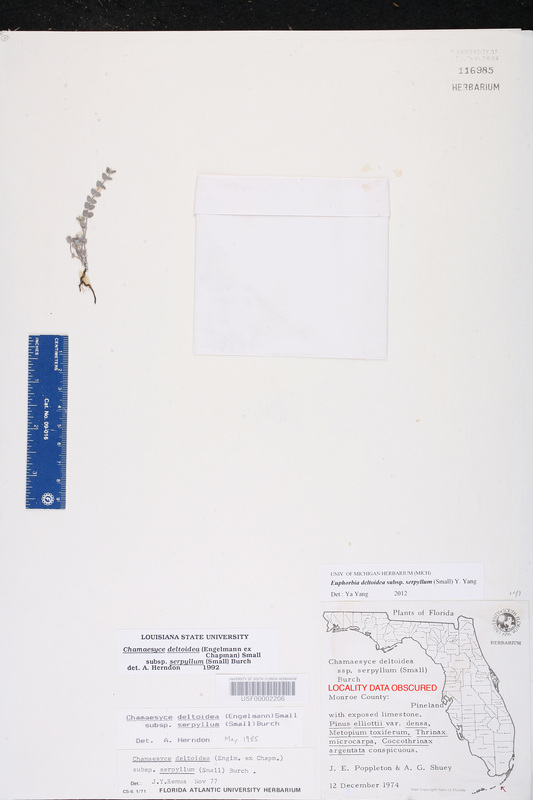 TYPE: FLORIDA: Monroe Co.: Big Pine Key, 17 Nov 1912, Small 3811 (holotype: NY). Euphorbia deltoidea var. serpyllum Euphorbia deltoidea Engelmann ex Chapman, var. serpyllum (Small) Oudejans, Phytologia 67: 45. 1989. BASIONYM: Chamaesyce serpyllum Small 1913. USA Florida Monroe Co. 18 Aug 1937 W. M. Buswell s.n. USA Florida Monroe Co. 12 Dec 1974 J. E. Poppleton s.n.